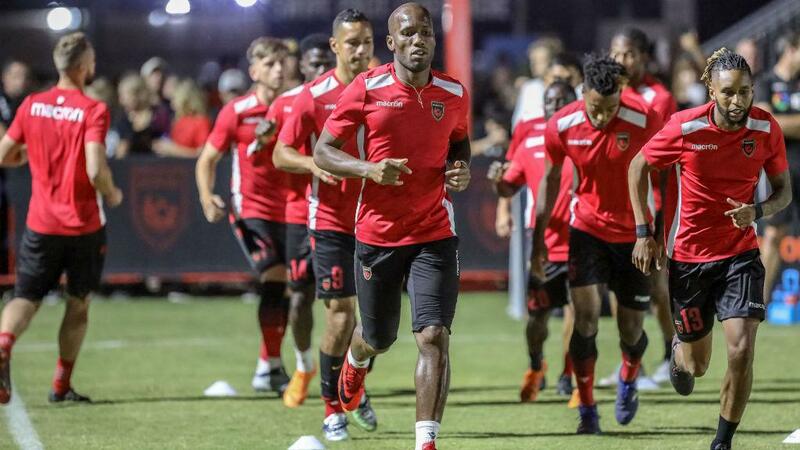 After the final whistle of the 2018 USL Cup closed the curtains on Phoenix Rising FC’s phenomenal postseason run, Didier Drogba lingered on the Lynn Stadium pitch in Louisville, Ky. like someone that had just played his final game. The 40-year-old Ivorian legend stood with his teammates to watch Louisville City FC lift the trophy for the second straight season before leading his squad over to salute a group of Rising FC fans that had made the 1,700-mile journey from Phoenix. As he finally worked his way towards the tunnel, Drogba bent over to touch the grass one last time, crossed himself and high-fived fans – mostly clad in LouCity purple – as he exited the field. The following morning, Drogba stirred the pot on social media with a post that raised doubts about his impending retirement, but less than two weeks later he confirmed there would not be a return of the King in 2019. That decision left Rising FC General Manager Bobby Dulle with the unenviable task of trying to replace the face of the franchise as well as a forward that had scored 17 goals in 26 appearances for the club, including three in its 2018 postseason run. As you might expect, it hasn’t been easy. That shared responsibility also starts at the top. 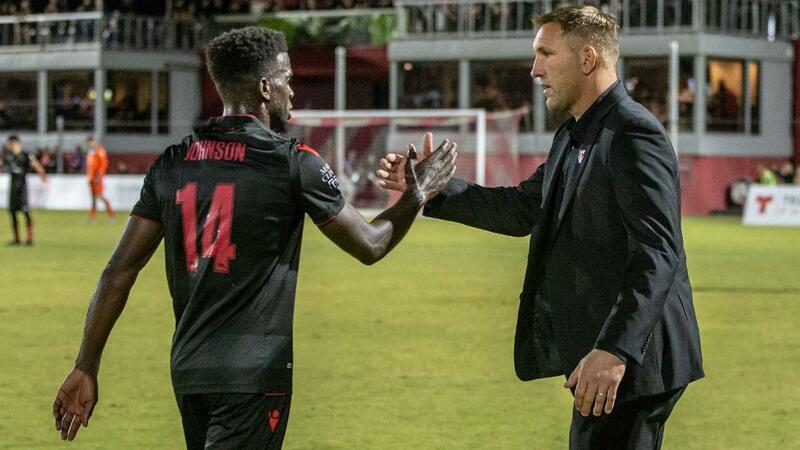 Dulle says he and Head Coach Rick Schantz, who was handed the reigns on a full-time basis this offseason, have been working tirelessly to identify talent that fits into their system ever since touching down in the Valley on the Monday following Phoenix’s 1-0 defeat to Louisville. While finding another star that shines as bright as Drogba did – both on and off the field – is unrealistic, Rising FC has been searching for players that showcase two distinct qualities to help fill the void. “I think you start first with the type of individual that they are and how they’re going to fit into the locker room and fit in with the guys that are returning,” Dulle said. “We’re looking for guys – obviously we have different qualities that we look for in the various spots – but being a good person is really important to us. Dulle and company are on their way to building a roster that checks both boxes. Rising FC currently has 19 players signed on for the 2019 USL Championship season, with 13 set to return from the 2018 Western Conference-winning campaign and six new faces hoping to make their debuts for the club when it opens the season on the road against San Antonio FC on March 9. Calistri spent the 2018 season with Saint Louis FC, scoring five goals and adding two assists in 32 appearances as the club reached the USL Cup Playoffs for the first time in its history. The 25-year-old primarily played on the right wing but showed throughout his STLFC tenure that he’s just as comfortable on the opposite flank and can also drop into the midfield in a playmaking role. Flemmings also spent most of his time on the right wing for his former club, the Tampa Bay Rowdies, scoring six goals and assisting on five more in 26 appearances last season. The 22-year-old can also be used as a second striker but will likely be counted on to provide width and service to Phoenix’s new center forward Adam Jahn. The 6-foot-3 Jahn offers the most experience of any of Phoenix’s new attacking signings, having made more than 100 appearances in Major League Soccer over stints with the San Jose Earthquakes and Columbus Crew SC. The 28-year-old, who netted three goals in 10 appearances last season in a loan spell at OKC Energy FC, will likely command the number nine role vacated by Drogba and former Rising FC forward Chris Cortez. As a veteran presence, Jahn will also be charged with picking up some of the slack from the departing forward pair and join the club’s leadership alongside Rising FC mainstay Carl Woszczynski and defender Amadou Dia. With less than 50 days until the season kicks off and preseason right around the corner, Dulle believes the Rising FC roster has the pieces to push for another run at the Western Conference crown. Now, it’s up to Schantz to put those pieces together and re-build the club’s chemistry as it seeks to take things one step further in 2019. While confident in his current group, Dulle hasn’t ruled out the possibility of adding a few more pieces to the puzzle between now and March, especially with things still shaking out after the MLS SuperDraft. He says he could see the club adding another defender or two as well as a midfielder and a young forward that can learn from a role model like Jahn. While the King may no longer reign in Phoenix, the potential heirs to his throne are ready to take the league’s crown.